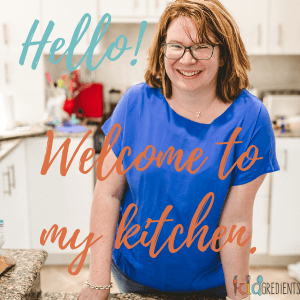 Breakfast is a contentious meal, we want convenience, but at the same time we want to feed our kids something that will get them going and keep them going. 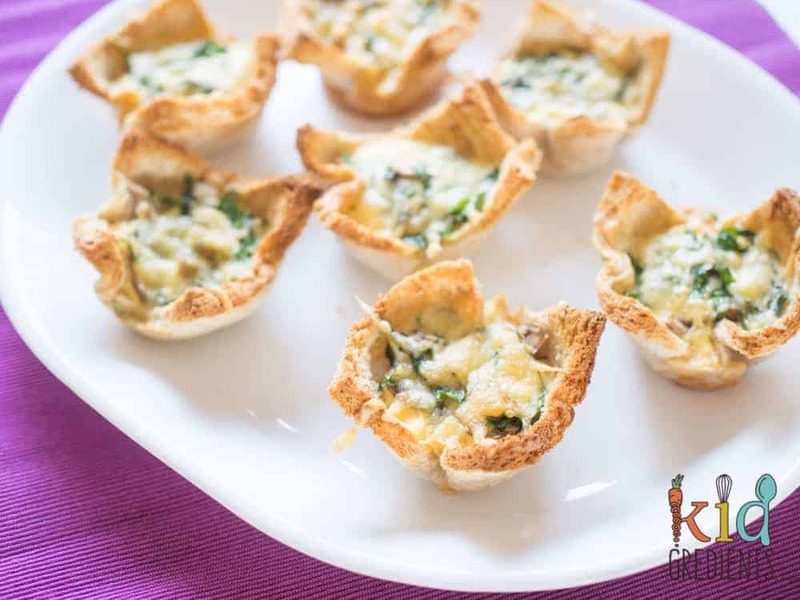 These delicious bacon, mushroom and spinach breakfast egg cups will fill the void, can be frozen and are super easy to make. That’s ticking a lot of boxes for me. Let me tell you how they came to be. I went to the supermarket. Two of the things on my list were baby spinach and mushrooms. I have no idea what I was going to use either for. I probably had an idea when I put them on the list, but that idea wasn’t what these ended up being. But I do know my morning will be a lot easier because these are what I ended up making! These will freeze well, and defrost just fine in the fridge overnight. If you want to heat them up for breakfast, they would need to go in the oven or the bread will go soggy. So I’ve kind of hidden the veggies under the egg and cream mix and the cheese, but they are definitely visible as soon as the cups are cut open or bitten into. The bacon goes on the bottom because the fat from it seeps into the bread and helps the bottom to turn crunchy in baking. 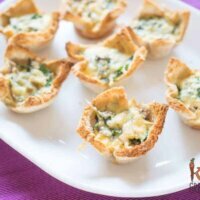 I’ve made these as bacon mushroom spinach breakfast egg cups but if you’re not keen on these flavour combinations, I recommend playing around to find something that makes these perfect for your family. They remind me of the classic fillings that you can get in a hotel omelette. I always choose mushrooms in my omelette! 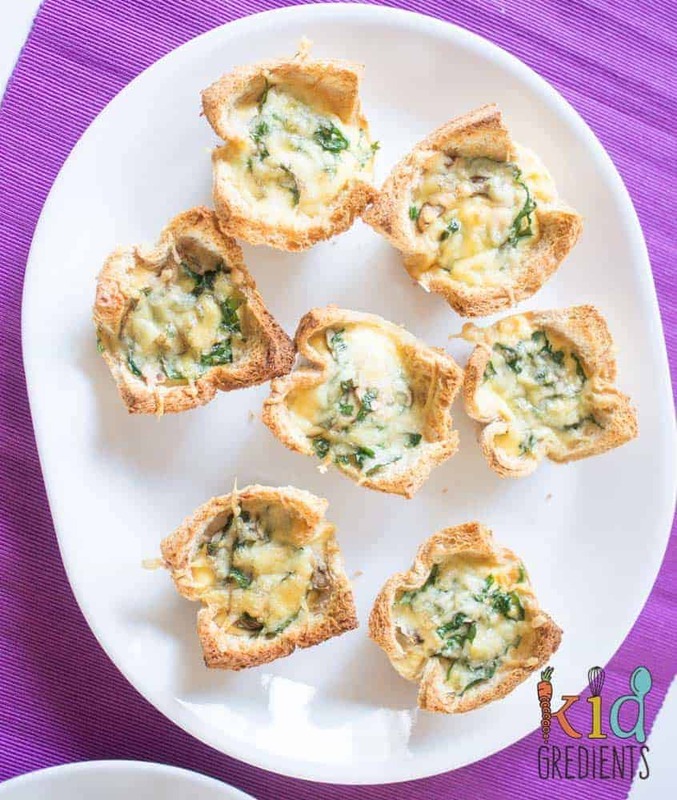 These were designed for easy breakfasts, but to be entirely honest, they would be fabulous in the lunchbox too. The crunchy bread “crust” is what makes these kid friendly, it’s like bacon, eggs and toast all in one mouthful! 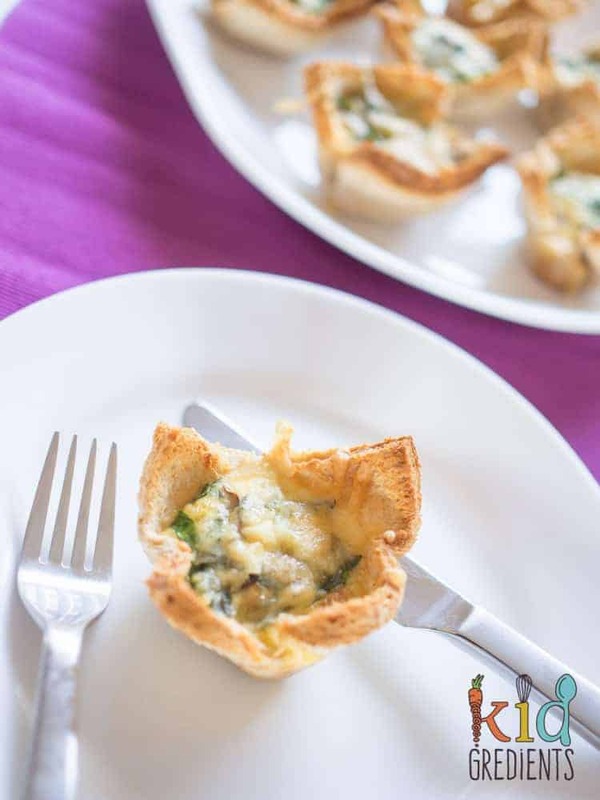 These easy to make bacon, mushroom and spinach breakfast egg cups are perfect to make ahead and freeze! Roll the bread out to flatten it and place in the holes of a silicone muffin tin (or grease a metal one). Place the bacon into the bread cup. Top with mushrooms and spinach. Combine the eggs and cream in a jug and whisk together. Pour the egg mix evenly into each cup. Previous Post: « Tomato sugo and 5 ways to use it!